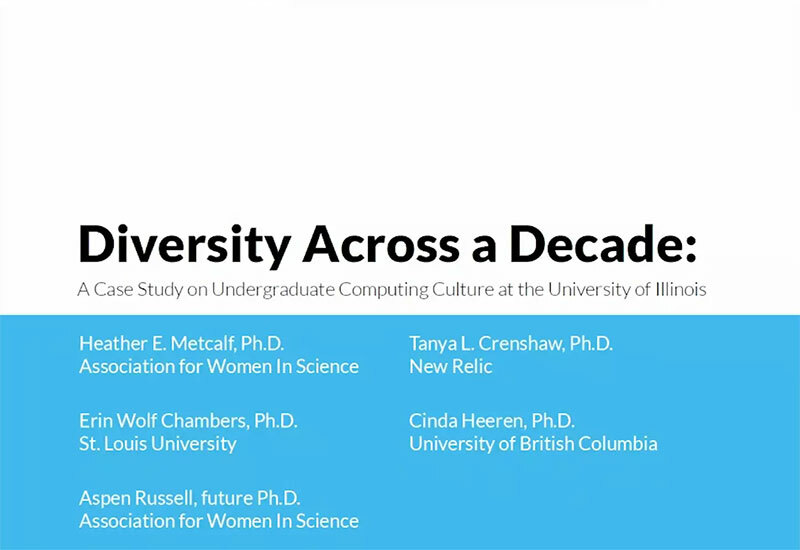 While we celebrate the dramatic increase in women’s undergraduate enrollment at computer science programs around the country, to see this surge translate into career-long outcomes, we cannot ignore ongoing gendered and racialized disparities in computing, particularly as they relate to a student’s sense of belonging. Even in times of high enrollment, fostering a sense of belonging cannot occur just through ad-hoc methods, the goodwill of a few faculty, or a standalone mentoring program. Policies and structures must be put into place and enacted holistically. We report on a multi-phase, 10-year case study of undergraduate student experiences at the University of Illinois (2007, n=61; 2017, n=339). Our 2017 study explores the policies and structures enacted over a decade and their impact on departmental culture. We report on three areas: i) Inclusive classroom experiences; ii) Quality of mentorship opportunities; iii) Student sense of identity. While there have been significant departmental improvements, there are some cultural, policy, and structural issues to be addressed in order to foster a sense of belonging and success for all students.